"Read David Haye to find out what it's like to spar with Groves, which Brit our man thinks will win in Jeddah and what the method of victory might be." 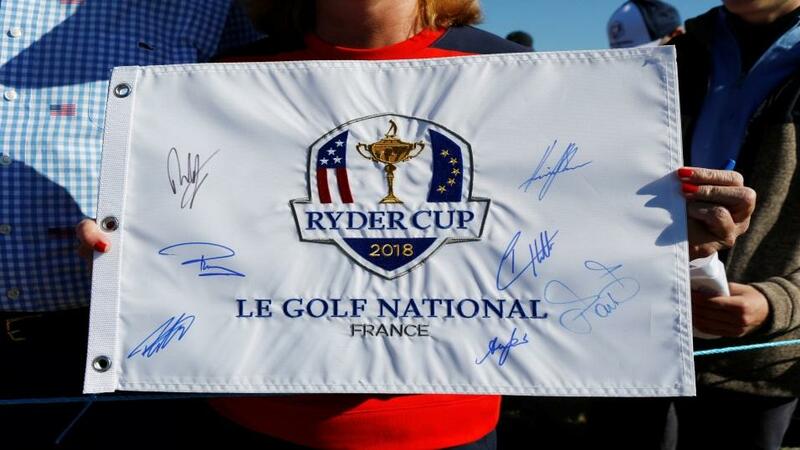 No surprise at all to find the Ryder Cup at Le Golf National near Paris taking top spot on this list. The bi-annual Europe v America showdown is one of the greatest events in sport, never mind just golf, so it also won't surprise you to know that Betfair have their sharpest golf tipsters on the case. From first tee to final green, across the three days of Trans-Atlantic frenzy Paul Krishnamurty will offer you wall-to wall coverage and incisive betting advice, meaning that Betfair really is the place to be for the Ryder Cup. You'll never believe who's writing about the big Friday night bout on Betfair - David Haye. That's right, the former-World Heavyweight Champion is the latest addition to the star-studded Betfair Ambassador stable and he's weighing in with his thoughts on Friday night's World Boxing Super Series final in Saudi Arabia, between George Groves and Callum Smith. Read Haye's preview to find out what it's like to spar with Groves, which Brit our man thinks will come out on top in Jeddah and what the method of victory might be. After winning in Singapore last time out, Lewis Hamilton is in an extremely commanding position at the top of the Driver's Championship and, barring only a late season meltdown, the Brit is destined to claim his fifth title - as odds of [1.18] attest. If there's to be even a hint of a challenge to Hamilton then Sebastian Vettel must win the Russian Grand Prix in Sochi on Sunday. Make sure you read our big race preview before placing your bets. The big race meeting of the week is at Newmarket where, on Saturday at 15:40, the Cambridgeshire Meeting comes to its climax on with the famous Cambridgeshire Heritage Handicap. A stunning spectacle, with 30 runners thundering up The Rowley Mile, the race is also a prime betting event and there are also two Group 1 races on an exciting card. Make sure you read what Betfair Ambassador and top jockey Ryan Moore has to say in his Betfair column and check out Tony Calvin's Saturday racing tips. The weekend kicks-off in East London where West Ham take on Manchester United for the latest chapter in Jose Mourinho v Paul Pogba - a tedious psychodrama enlivened only by Betfair Ambassador Dimitar Berbatov's comments this week. The Hammers, rejuvenated in their last three matches, will fancy their chances of adding to the visitors' woes. There's a very healthy six 3pm kick-offs prior to the match of the weekend, as Chelsea host Liverpool at 17:30. Should be cracker, as the top flight's two in-form teams go head to head at Stamford Bridge. On Sunday, Cardiff host Burnley while Crystal Palace go to Bournemouth on Monday night.